MIAMI BEACH – Certainly, guns and the right to bear arms will always be a topic of heated debate. With everything that has been said and opinions abound, it is interesting to simply read the Constitutional amendment from which any debate must begin. 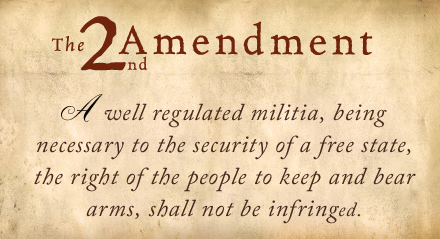 Some of the reasons given for the passage of the second amendment at the time were: preventing tyranny, quashing any insurrection, suppressing an invasion, assisting people in their right to defend themselves, allowing people to help further law enforcement’s purpose, and allowing the people to organize a militia. But things change and the country changes. In recent years, the Supreme Court has upheld several restrictions on the right to bear arms. 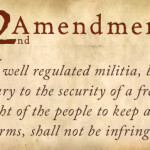 However, it has also indicated that state and local government is limited by the Second Amendment in the same way that the Federal Government is. People are hurt and lives are destroyed with guns on a daily basis. Some are accidents. Others are intentional. And many times, incidents with guns are because a person negligent handled it or the security provided at a business or establishment was negligent. Other times, there is nothing that can be done to prevent a crime committed with a weapon like a gun. The one thing that is certain is that this is a topic that should occupy a significant portion of our public discourse. Too much has happenend for it not to demand our attention…..